The LIANZA Otago/ Southland “Not a Weekend Weekend School” was held in Gore, on the 6th and 7th of September. The event theme “Resourcing Our Changing Communities” allowed speakers from different organisations to share how they support their communities, driven by understanding, passion and drive. Our Southern Regional Manager Leigh Rout attended the event and shares some of her observations below. 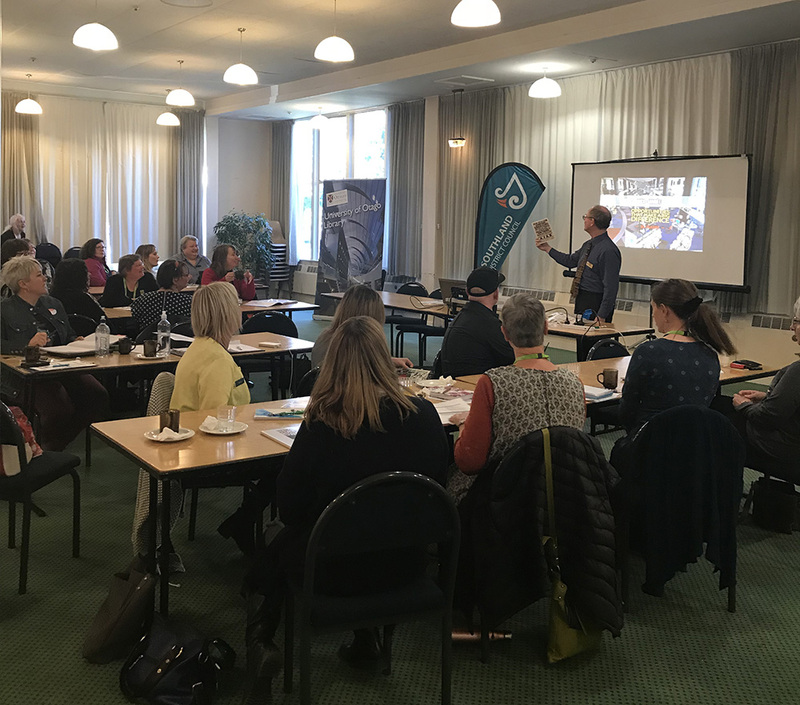 “I signed up for this as a professional development opportunity, to learn more about the lower South Island region and their projects involving cultural heritage. I was keen to engage with the people and communities to enhance my understanding of the region and their changing environments. Gore Mayor, Tracy Hicks opened the gathering by welcoming us all and mentioning how libraries have influenced him a great deal in his life and what wonderful people librarians are! 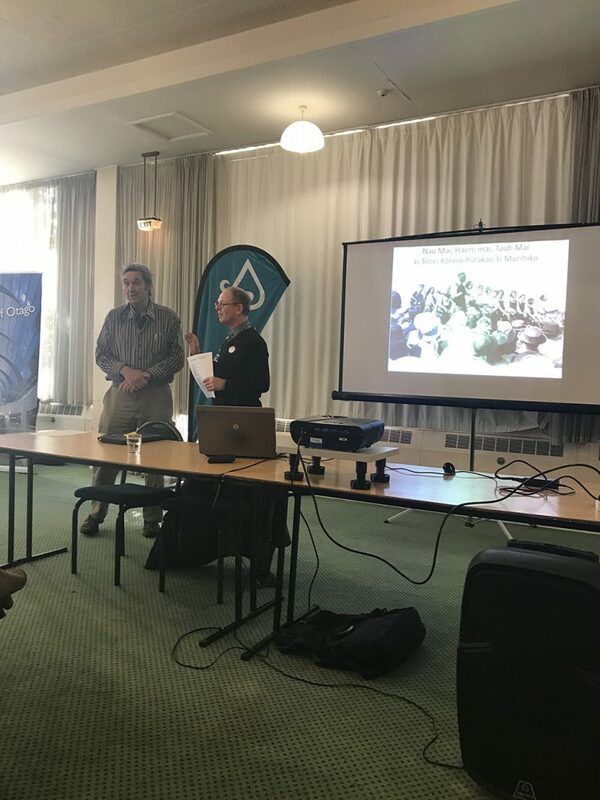 Due to some last-minute changes in the programme, I was asked to fill a session and spoke about “Our Changing Landscape”, discussing a few projects the wider NZMS team have been involved in. Most of our projects incorporate a large portion of collaboration and partnership with organisations that results in some very exciting achievements. I focused on the mass digitisation projects with LINZ and The Black Maps Project that have been very significant projects completed by our team. Download my presentation slides here. The keynote speaker on Thursday was Sue Kini, Regional Coordinator from Digital Inclusion Alliance Aotearoa, a not for profit organisation, discussing “Digital Inclusion Management”. 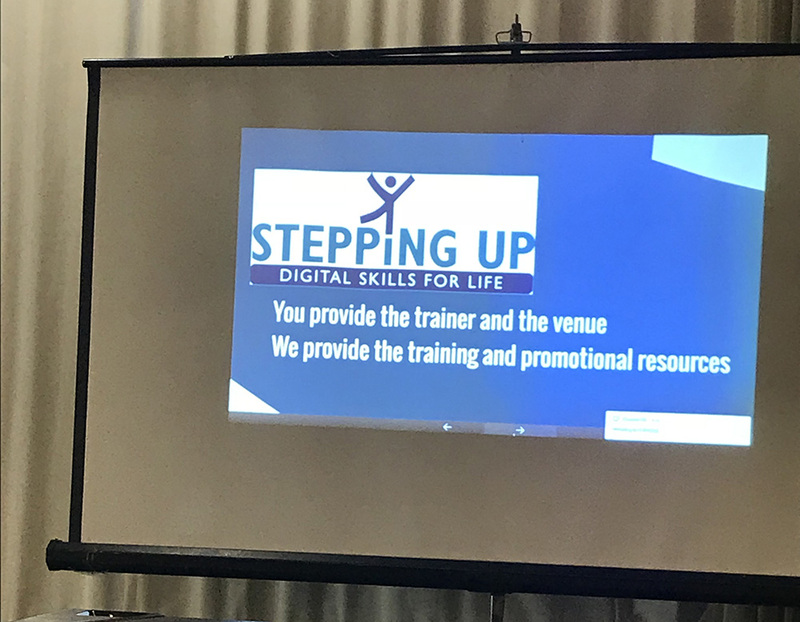 She discussed the Stepping UP programme sponsored by Spark which offers an affordable solution for families with children under 18 who are unable to sustain a monthly fixed line internet connection. In a nutshell, they can visit a library and receive a training session, then receive a free modem preloaded with 30GB of data with no fixed term contract. They can then purchase Skinny vouchers and pay only $10 per 30GB per top up at their convenience. We often get swept up in our own worlds and environments where internet access is so easily available to us, but we mustn’t forget those who do not have the means or resources to access the internet. Especially for our younger generation who increasingly are expected to rely on the internet for learning and engagement. 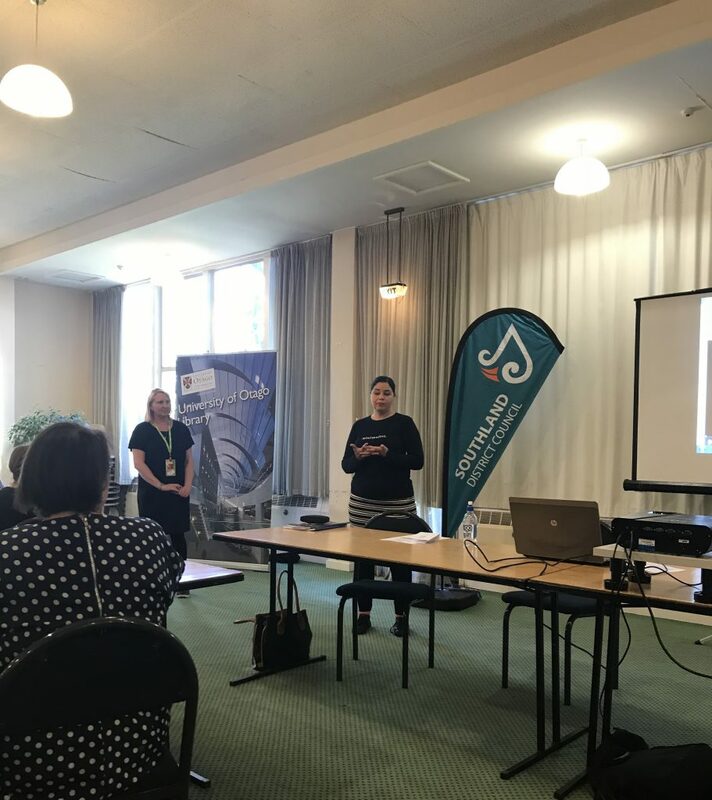 Next up was “Engaging With Refugees/ Recent Immigrants” presented by Fiona Kerr, Youth Librarian at Waitaki District Council and Mihaela Erdelyi, Migrant Services Coordinator at Gore District Council. It was enlightening to learn the impact the community can have to ease immigrants into the community from different cultures and perspectives.Fiona talked about the need for librarians to break past the surface of transactional conversation and to learn to engage with the people, understanding feelings of being isolated and the challenges they have when people don’t engage with them. Mihaela spoke about immigrating to New Zealand from Romania and how New Zealand is one of the only countries who offers family packages. She shared some of her experiences of being in a foreign community and how it had affected her, praising libraries as being an open space where families can come and feel supported. Jo Mann, Librarian at Te Anau Library briefly explained the opportunity she had when she applied and won the Helen Schwartz scholarship which funds one librarian from a smaller community the opportunity for professional development. Jo spent two weeks at National Library learning about the wider sector. Mark Hughes, Facilities Planning Coordinator at Otago University, discussed the evolving spaces in the University over the past 10 years and how the library has adapted their spaces as students moved into the digital world and modern learning environments. 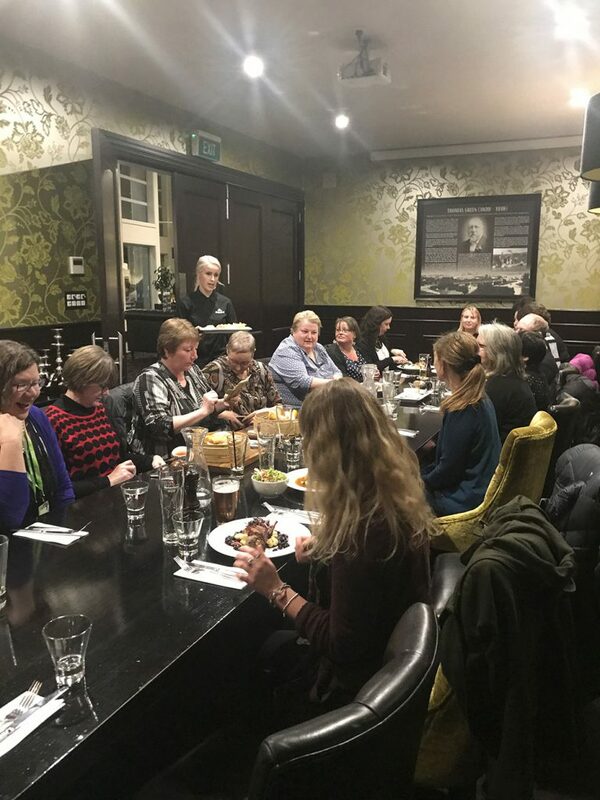 That night 18 delegates had a lovely meal at The Thomas Green, this was a great opportunity for us to get to know each other in a relaxed environment. Friday started with Bill Dacker of Beaumont, a noted Otago Historian and Researcher, discussing the Maori history of the lower half of the South Island. His insights were interesting and the stories he shared were broken into three categories, unwelcome strangers, unwelcome strangers who became welcome strangers and welcome strangers. 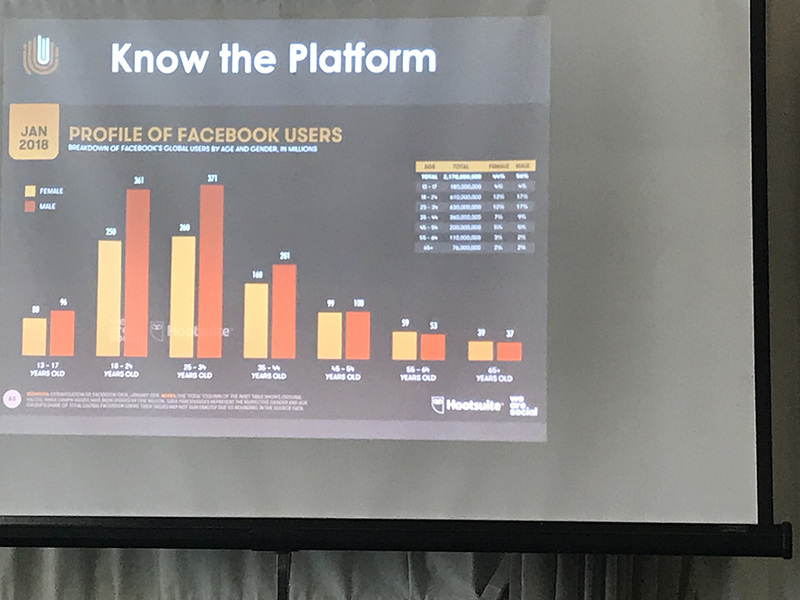 Following this, Jay Coote and Kayla Davidson from Invercargill City Libraries talked through “Developing A Successful Social Media Profile”. They talked through the libraries 5-year social media plan that began in 2013 and how it has evolved over time through constant planning, inspiration gathered from Reddit (and a little bit of trial and error) to become the success it is now. Especially with some of their posts being recognised and engaged with on an international level. If you would like to see what they are up to, check out their Facebook Page. 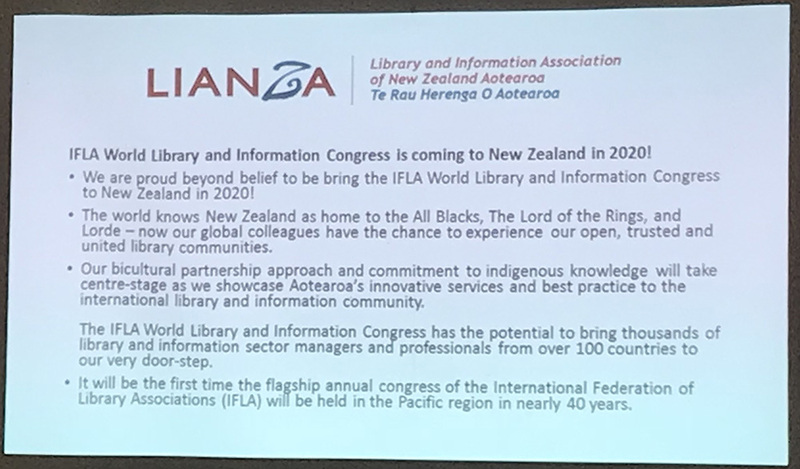 Mark Hughes and Anne Buck then discussed the hot topics in LIANZA – with special mention to the exciting announcement about IFLA being in Auckland, New Zealand in 2020! For the afternoon sessions we moved to the Arts & Heritage Precinct and started with David Luoni talking us through “Project Ark: Preserving Southland’s Heritage”. Funded by the Southland Regional Heritage Committee, David is leading the two-year pilot stage of Project Ark as a collaboration between the Invercargill City Council and the Southland and Gore District Councils. This project begins by digital cataloguing of 50 significant items from each museum in the region that will be made accessible online. The team will then concentrate on cataloguing and packing the Wyndham and Districts Historical Society museum collection, with the overall aim to replicate this process throughout the entire region. NZMS have been involved by offering consultation services for this project, along with other institutions and it has been exciting to see it evolve. Learn more about this project here. The rest of the afternoon was spent with tours through the Eastern Art Gallery, Hokonui Moonshine Museum and the Gore Public Library. For more upcoming LIANZA Events – see here.